Prime Minister Nguyen Xuan Phuc attended the expanded Group of Seven (G7) Summit and visited Canada from June 8-10, at the invitation of Canadian Prime Minister Justin Trudeau. Addressing the G7 Outreach Summit in Quebec, on June 9 (Canada time), PM Phuc affirmed Vietnam’s commitment to joining the international community in promptly translating the Paris Agreement into reality. Several memoranda of understanding (MoU) on cooperation in different fields were signed between Vietnam and Canada on the occasion. The Government and National Assembly Standing Committee have agreed to ask the legislature to delay the adoption of the draft Law on special administrative-economic units to have more time for research and completion. The draft Law on Special Administrative – Economic Units of Van Don, Bac Van Phong and Phu Quoc has been built thoroughly in order to instutionalise the Party’s resolutions and the Constitution 2013 and create a legal foundation for the construction of the three aforementioned economic zones. Lawmakers also voted to pass the draft revised Law on National Defence and draft Law on the Vietnam Coast Guard at the on-going fifth session of the 14th National Assembly in Hanoi last week, with an 88.30% approval rate. Vietnam’s economy is on a more positive growth momentum than last year, with a sharp increase in foreign investment, focused mainly on export industries and electronics, as well as increased foreign exchange reserves and strictly controlled foreign debts. 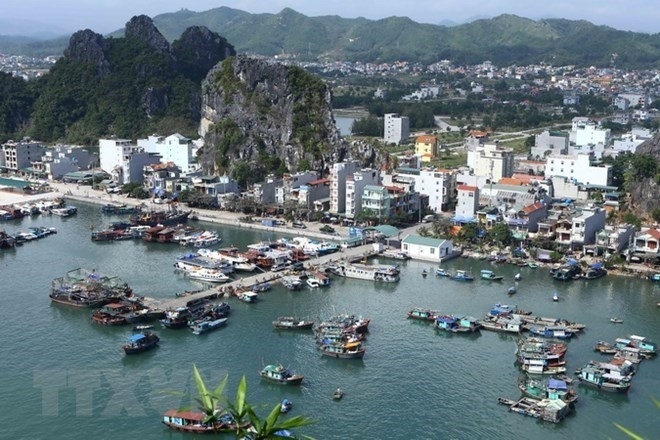 The assessment was made by experts from the prestige rating agency Fitch Ratings at the Fitch on Vietnam forum which took place in Hanoi on June 8. Fitch forecast that the Vietnamese economy could grow by 6.7% in 2018, making Vietnam one of the fastest growing economies in Asia-Pacific and the fastest among the BB-rated countries. Meetings were held across the country to celebrate the 70th anniversary of President Ho Chi Minh's call for patriotic emulation (1948 – 2018) and to honour the exemplary models of the localities’ patriotic movements over the past recent years. 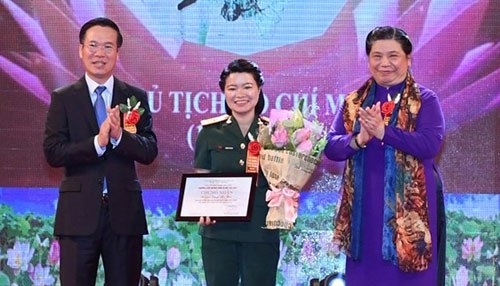 Winners of the ninth ‘Simple and Noble Examples’ writing contest were honoured at a ceremony in Hanoi on June 8. Exhibitions and seminars spotlighting President Ho Chi Minh’s thoughts and patriotic emulation movement were also organised on the occasion. A ground-breaking ceremony was held on June 8 in the south central coastal province of Ninh Thuan to commence the construction of a solar farm invested in by CMX RE Sunseap Vietnam, a member of Singapore’s Sunseap Group. With a capacity of 168 megawatts and covering more than 186 hectares, it is considered the largest solar farm in Vietnam and Southeast Asia. The farm will cost an estimated VND4.4 trillion (US$194 million) and is scheduled for commercial operation in June 2019, providing 272,000 megawatts per year to the national power grid. The plant will also create jobs for 200 local people. Two daredevil brothers from Vietnam, known as the Giang brothers, shone in this year’s Britain’s Got Talent finals. The impressive performance from Giang Quoc Co and Giang Quoc Nghiep on June 3 (local time) made viewers breathless and then made them stand in applause. All four members of the jury showed their admiration for the performers. Although they did not win the show, the performance was a hit for British audiences watching on ITV. The Stem Cell Institute (under the University of Science, Vietnam National University Ho Chi Minh City) has transferred its CartilatistTM - an off-the-shelf product containing mesenchymal stem cells for the treatment of knee osteoarthritis and spinal degeneration. It is the first stem cell drug to be produced by Vietnam. Cartilatist contains living stem cells and can be preserved by freezing and injected immediately into the patient's joints or discoid menisci to treat degenerative diseases. The live entertainment show “The Quintessence of Tonkin” recently won the Gold Stevie Award for Innovation in Media, Visual Communications & Entertainment, beating projects from all over Asia. The Quintessence of Tonkin, run by Tuan Chau Ha Noi JSC, impressed the judges with images of peaceful landscapes and its depiction of the unique heritage of the Vietnam’s northern region, as well as the country’s history and culture from a contemporary perspective, which it portrayed with the help of hundreds of performers, an interactive stage, and state-of-the-art technology. The 60-minute show is held every day between 7.30 pm and 8.30 pm at Baara Land, Quoc Oai district, 25km west of central Hanoi. Vietnam Television (VTV) has earned the right to broadcast live all 64 matches of the FIFA World Cup 2018 in the country, it announced on June 8. To this effect, an agreement was reached on June 8 between VTV and the Federation International Football Association (FIFA) on World Cup 2018 communication rights in Vietnam, as well as sharing rights with third parties. The FIFA World Cup 2018 will take place in 12 stadiums in Russia from June 14 to July 15.